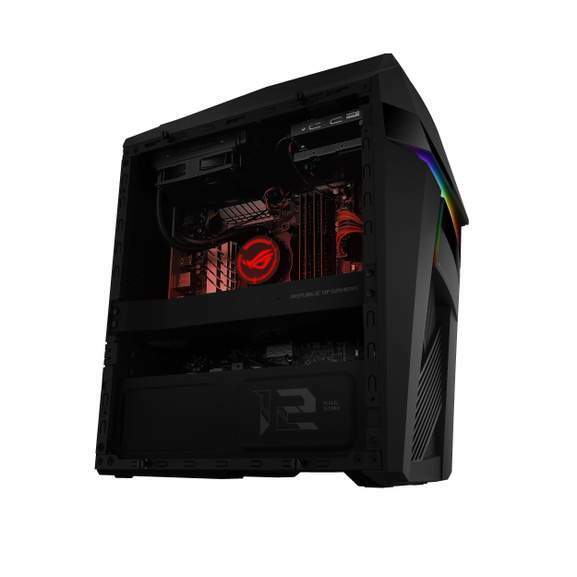 Having been tasked for looking for a prebuilt system for a family member, I spotted this Watercooled ASUS system which seems to be good value for the spec. ROG STRIX GL12 is engineered to quench gamers’ never-ending thirst for extreme gaming horsepower paired with striking, unconventional design. 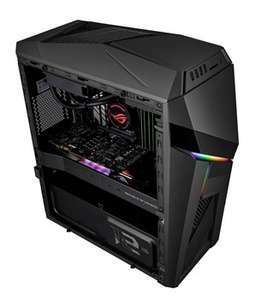 It is powered by an 8th Generation Intel® Core™ i7-8700 processor (up to 3.2GHz full hexa-core), with NVIDIA® GeForce® GTX 1070 graphics for boundless gaming experiences. System upgrades are effortless thanks to its expansion bays and an esports-ready hot-swap SSD tray. A transparent side panel coupled with customizable Aura Sync technology light effects let you express your gaming persona, inside and out. Seems too much for the spec, plus that case...kill it with fire! Whilst I get you pay a premium for pre built, I'm not gonna spout it's cheaper to build your own. But for that price should be at least looking at a 1080 in that build. Whilst I get you pay a premium for pre built, I'm not gonna spout it's …Whilst I get you pay a premium for pre built, I'm not gonna spout it's cheaper to build your own.But for that price should be at least looking at a 1080 in that build. I bought it from NOVATECH.